This is where I originally got the syntax. 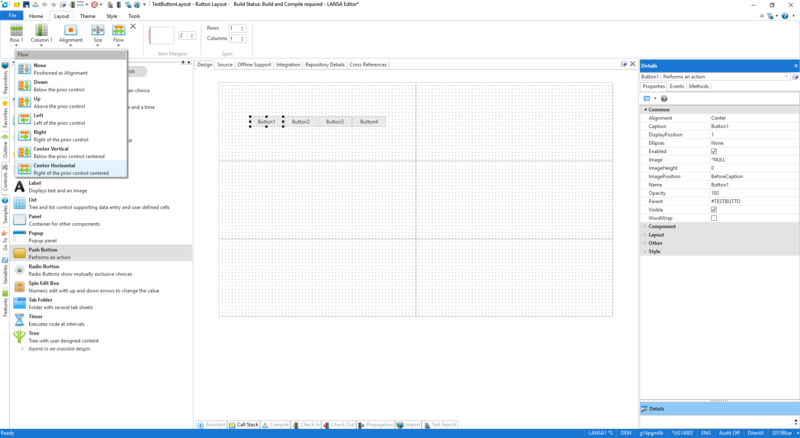 Have you looked at the sample form in the IDE xDemoDragandDrop? It shows dragging and dropping within a single list view (to reorder), as well as from one list view to another. Make each of the buttons alignment Center, and set the flow to Center Horizontal. This should do exactly what you are asking. Adding a bit more information regarding a new potential custom widget, getusermedia does apparently work now from mobile devices in both Safari 11 and Chrome. Ideally I would still use xDeviceBarcodeScanner.